Global GDP will be 14% higher in 2030 as a result of AI – the equivalent of an additional $15.7 trillion. This makes it the biggest commercial opportunity in today’s fast changing economy according to new research by PwC. Drawing on a detailed analysis of the business impact of AI Sizing the prize outlines the economies that are set to gain the most from AI. AI will contribute $15.7 trillion to the global economy in 2030, more than the current output of China and India combined. Labour productivity improvements are expected to account for over half of all economic gains from AI over the period 2016-2030. Increased consumer demand resulting from AI-enabled product enhancements will account for the rest. The greatest economic gains from AI will be in China (26% boost to GDP in 2030) and North America (14.5% boost), equivalent to a total of $10.7 trillion and accounting for almost 70% of the global economic impact. North America will experience productivity gains faster than China initially, driven by its readiness for AI and the high fraction of jobs that are susceptible to replacement by more-productive technologies. China will begin to pull ahead of the US’s AI productivity gains in ten years, after it catches up on a slower build up to the technology and expertise needed. Developing countries will experience more modest increases (less than 6% of GDP) due to the much lower rates of adoption of AI technologies expected (including Latin America, Africa). Included in the analysis, the PwC AI Impact Index pinpoints three business areas with the greatest AI potential in each of eight sectors. Areas identified include image-based diagnostics, on demand production and autonomous traffic control. Overall, the biggest absolute sector gains will be in retail, financial services, and healthcare as AI increases productivity, product value and consumption. By 2030, an additional $9trn of GDP will be added from product enhancements and shifts in consumer demand, behaviour, as AI driven consumption gains overtake those of productivity. “No sector or business is in any way immune from the impact of AI. The impact on productivity alone could be competitively transformational and even disruptive. Businesses that fail to apply AI, could quickly find themselves being undercut on turnaround times as well as costs and experience, and may lose a significant amount of their market share as a result. The analysis underlines how the scale of the opportunity of AI needs to be underpinned by both more robust governance and new operating models to realise its full potential. 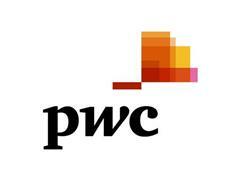 A recent paper from PwC UK on Responsible AI warned effective controls need to be built into the design and implementation phase to ensure AI’s positive potential is secured, and address stakeholder concerns about it operating beyond the boundaries of reasonable control. The report draws on input from sector experts and partners at Fraunhofer, a global leader in emerging technology research and development. Future reports will focus on specific sectors, along with functional areas such as marketing, finance and talent management. We’ll also be publishing the detailed economic projections. In the PwC AI Impact Index, three areas with the biggest potential for AI impact are identified in eight sectors.